City, University of London welcomes applications from Kenyan students. London is a great place for students from Kenya to study as it is a global city with virtually every nationality represented in some way. The International Team make frequent trips to attend fairs, visit schools and undertake one-to-one counselling with student and parents. If we currently do not have any visits listed here, we can still assist you via email with any queries you may have. If you have any queries regarding entry requirements or how to apply, please contact Ghazi Lashab for more information. 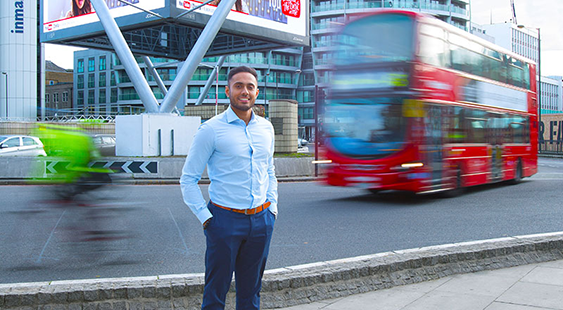 If you are thinking about studying in London, choosing City means benefitting from our central location, teaching quality and close links to business and the professions. We offer a wide range of undergraduate and postgraduate degrees and are consistently highly ranked for graduate starting salaries. Applicants who have completed the Grade IIX certificate will need to undertake our International Foundation programme at INTO City, which then offers the opportunity for guaranteed entry into City’s bachelor programmes. International qualifications such as A level and IB are accepted for direct entry, and details of grades requirements for these qualifications can be found on the course pages. In 2021 the Mathematics curriculum for the International Baccalaureate Diploma is changing. After careful consideration, City will accept both the Mathematics: Analysis and approaches route and the Mathematics: Applications and interpretation route as equivalent to A-Level Mathematics for all of our undergraduate courses. This means where our courses required A level Mathematics equivalency, we will accept both of the available Higher Level routes within the International Baccalaureate. Current IB requirements will be clearly stated on the individual course pages, but please contact us if you have any questions. Students who don’t meet the requirements for direct entry may have the option to undertake our Graduate Diploma programme at INTO City, which then offers the opportunity for guaranteed entry into City’s Masters programmes. IELTS 6.0 is required (IELTS 6.5 for business and social science and IELTS 7.0 for journalism and law courses). PTE is accepted on a case-by-case basis. IELTS 6.5 is required (IELTS 7.0 for business, journalism and law courses). For students requiring visas, a Secure English Language Test (SELT) is usually required. Find a full list of acceptable tests at English Language qualifications. Students who do not meet the English language requirements for their course may have the option to undertake our Pre-sessional English programme at INTO City prior to entry. Most courses have partial scholarship schemes and details can be found on each course page. If you cannot see a scholarship on the course page and wish to find out if one is available, please contact Ghazi Lashab. The Chevening Scholarship - Chevening Scholarships are the UK government's global scholarship programme, funded by the Foreign and Commonwealth Office (FCO) and partner organisations. The Scholarships are awarded to outstanding scholars with leadership potential. Awards are typically for a one-year Master's degree, in any subject and at any of the UK's leading universities. City, University of London works with a select number of overseas representatives or agents across the world to offer face-to-face assistance and counselling to prospective students. For guidance in applying through agents, please see our Overseas Representatives page. If you are considering study at City, University of London, why not sign up to our regular e-newsletter? Learn about life as a City student, what it’s like to live and study in London and receive useful updates to help you make your decision.